Cover Crops & Companion Plants for Growing Weed: Good or Bad Idea? What Are Cover Crops or Companion Plants? Have you ever heard of the term "cover crops" or "companion plants"? Basically this is a plant that you keep alongside your main plant, and it provides benefits in a symbiotic way. For example, some cover crops such as clovers have the ability to "fix" Nitrogen out of the air. They are actually able to pull Nitrogen out of the air to use within the plant. As you may know, Nitrogen is one of the most important plant nutrients because it is directly related to a plant's ability to produce new green plant matter. Without Nitrogen, plants turn yellow and stop growing. So with clovers, they can get Nitrogen from the air, and when they die this can slowly leach extra Nitrogen into the soil for your main plant. The idea is you don't have to fertilize as often, because the clovers will naturally be providing some of the Nitrogen for you. Therefore cover crops like clovers have proven to be helpful for improving long term soil fertility, especially when the soil is farmed heavily over years. In a commercial setting, cover crops can fix pounds of Nitrogen across a whole field, which saves on fertilizing costs. Cover crops are also used to prevent soil erosion because the roots help hold the top soil together. Sometimes they are used to outcompete weeds in between growing seasons, or to help prevent pests or diseases. Some commercial growers use cover crops to improve the overall biodiversity and increase the amount of local wildlife. Legumes (fix Nitrogen from the air) – includes plants like clover, alfalfa, peas, beans, soybeans, etc. Grasses and Cereals (produce extensive root systems that prevent soil erosion, add organic matter, and outcompete weeds; however they can leach Nitrogen from the soil unless you cut them down early) – includes plants like wheat, oats, rye, barley, etc. Some combine these half and half with legumes to ensure you're not unintentionally taking Nitrogen. Most cover crops were never really intended to be grown alongside other plants – There seems to be this idea that you put cover crops in the same pot as your plants. But that's not how actually farmers typically use them. Typically cover crops are used in between plantings to help improve the soil. 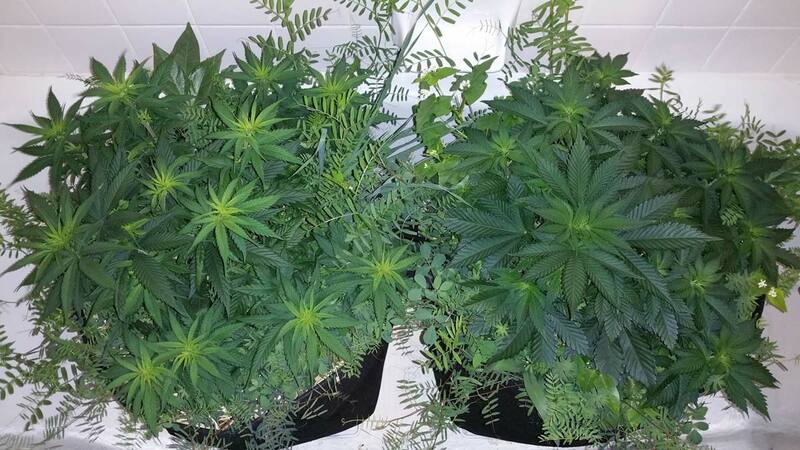 For example, if you were growing cannabis outside, you wouldn't plant the cover crops next to your cannabis, you would plant them after your cannabis is harvested. The idea is to help improve the soil before the next growing season. In a situation where you're using new soil every time (many hobbyist cannabis do this because it's far easier than repairing used soil), it doesn't make any sense to use cover crops. Most companion plants take a while to start helping, if ever – Some plants are meant to be planted alongside another plant in the same container, but these often take months to get the plants into a good balance, and you need to make sure the companion plants don't take over. It's meant more for long-term gardening, not a quick crop plant like cannabis. You can provide a better environment for your plants than what they get from other plants – Let's say you have legumes that do provide some amount of Nitrogen that is available right away. What benefit is that to you? By controlling the growing medium and nutrients, you can give your plants exactly what they want at exactly the right time. This is far more precise and gets better results than hoping some clovers are going to give your plants nutrients. The amount of nitrogen you get from legumes is not going to make a significant difference in nutrient costs when we're talking about a few plants in pots, but they are not as effective. Nitrogen-fixing cover crops have to die first before your plants get significant amounts of Nitrogen – And then they also have to break down into the soil, which can take months. 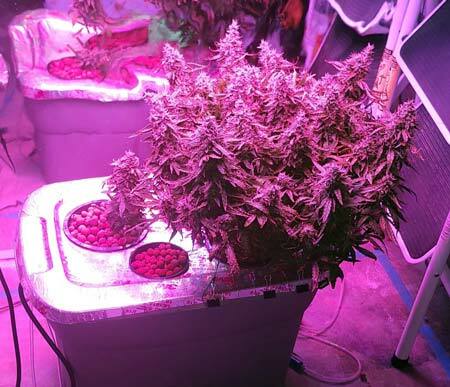 By the time your cover crops are providing Nitrogen, your cannabis plants are likely almost ready to harvest if you planted both at the same time. Cannabis roots are sensitive to the presence of other roots. It can supress cannabis plant growth when its roots are touching another plant's roots. 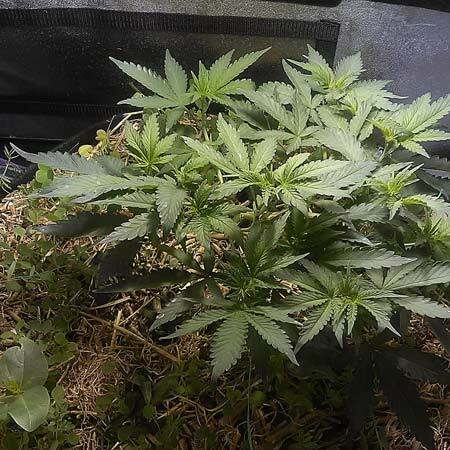 If you've ever seen two cannabis plants grown in the same container, you'll notice that sometimes one becomes the "main" plant while the other becomes stunted. Sometimes you have tenacious clovers or other cover crops that can completely overwhelm a cannabis plant at the roots, especially if there's a lot of them. You don't want the cover crop to become the main plant and your cannabis the stunted one. The strains of cannabis plants we grow today are far removed from their wild ancestors. Their roots aren't that great at competing with other plants. Modern strains have been bred to produce great quality bud and yields, but as a result they often are a little more sensitive to poor environmental conditions. Cannabis growers often seem to have problems with cover crops – In our growing forum and from people who write in, we've had many growers over the years present us with this plant problem. They're doing everything right, except they're growing cover crops. I've had growers argue with me that the cover crops can't be the problem, but I can just tell you that I've seen many plant problems clear up just from removing all the other plants in the pot. In fact, I'm guilty of this with another type of plant. I was growing a lime tree with clovers, and the clovers were thriving but after about a month the lime tree slowly started losing leaves, a little at a time. I tried everything, and denied it could be the clovers. I'd read online they would help! After it started getting bare I decided to actually pull the clovers out and see if that helped. I couldn't believe how big and deep the roots were for such tiny plants. Within a week the lime tree was already growing new foliage and had stopped dropping leaves. I've seen the exact same thing happen with cannabis growers! If you're currently experiencing problems with cover crops, just try removing them and see what happens! When two cannabis plants are grown in the same container, it's common for one plant to "choke out" the other and cause it to become stunted. Look how tiny one plant is compared to the other, even though they were grown together from the beginning! This doesn't always happen, but it happens often enough. You don't want your cannabis plant to be outcompeted by a cover crop! I want to add that I have seen some experienced growers get good results with companion crops, and I'd like to include another example because I want to reiterate that I'm not saying companion crops can't work. I'm just saying that if you're running into problems, try getting rid of the companion plants and see if it helps. So should you use cover crops or companion plants for growing cannabis? In my opinion it adds an extra variable that could possibly cause you trouble. If you want to experiment, that's great! But if you're looking to minimize the chance of running into problems, I highly recommend growing every cannabis plant in its own container!